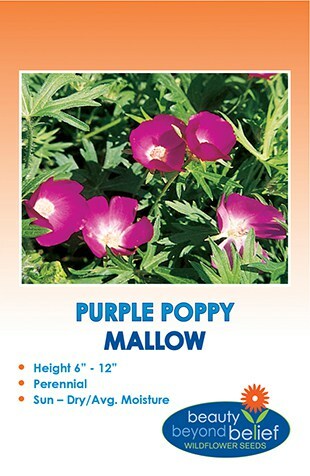 Purple Poppy Mallow is a mat-forming, Missouri native with poppy-like, magenta flowers that sit on thin stems. This plant grows well from seed and may self-seed in optimal growing conditions. It is perfect as a ground cover, planted along stonewalls or used for border fronts. Purple Poppy Mallow or also known as Wine Cups is a mat-forming, native with masses of poppy-like, pink to magenta flowers blooming in the spring. This plant grows well from seed and may self-seed in optimal growing conditions. It is perfect as a ground cover, planted along stonewalls or used for border fronts. Native to states from the Rocky Mountains throughout the mid-West. A good nectar source for butterflies and native bees. Height: 6-12″ tall, spreading to 3 ft.